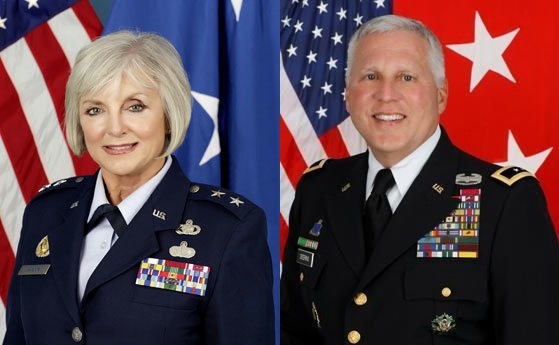 Former Oklahoma Secretaries of Veterans Affairs, Retired Major General Rita Aragon and Retired Major General Myles Deering, will be recognized as 2019 Premier Volunteers for their dedication in serving Oklahoma veterans. Volunteers of America Oklahoma will celebrate their commitment at the 12th annual Rhinestone Cowboy on May 3, 2019 at the historic Cain’s Ballroom. Major General Rita Aragon is a retired United States Air National Guard two-star general. A native Oklahoman, Aragon commanded the Oklahoma Air National Guard. She held the office as Oklahoma Secretary of Veterans Affairs from 2011 to 2015. Major General Myles Deering is an Oklahoma native retired from the Army National Guard having served as the Adjutant General of Oklahoma. Deering served as Executive Director of the Oklahoma Dept. of Veterans Affairs and the Oklahoma Secretary of Veterans Affairs from 2015-2019. Volunteers of America Oklahoma will also honor Oklahoma active service military and veterans with the Heart of Courage Award. Volunteers of America Oklahoma’s all veteran team knows first-hand the challenges faced by veterans transitioning from military service veterans. Rhinestone Cowboy will feature entertainment by Nashville recording artist Taria Lee. It will be an exciting evening of activities including live auction, raffles and wine pull.